Could house prices drop during 2015? Property prices in the UK have been up and down like a yoyo throughout the past couple of years. There have been a fair few high points as well as low ones however, newly devised property price predictions are expecting prices within the UK may drop around 0.8 per cent during 2015. 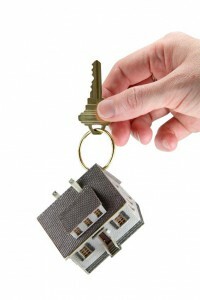 This comes according to research provided from property market analysts, the Centre for Economics and Business Research. According to the data provided, London may also experience a property price drop of around 2.6 per cent; this comes shortly after the great amount of success the capital has shown in previous weeks. The fall comes due to property prices spiralling out of control followed by apprehensions of possible mansion tax and last but not least a high level of insecurity with regards to the results of next year’s general election. "Tougher mortgage eligibility criteria, high deposit requirements and concerns about future rate rises are starting to take steam out of the UK housing market," said Scott Corfe, Head of Macroeconomics at Cebr and author of the report. Almost 20 per cent of around 2,000 adults who participated in a survey courtesy of Privilege Home Insurance stated that they feel they have an inadequate amount of space in their homes making it inflexible for them to live contentedly. Conversely, 14 per cent who live in and around the South East are highly likely to be happier with the room they have in comparison to other places such as, Wales and the West Midlands… here a quarter stated that they were unhappy with the size of their current home. The survey also projected that around one in eight residents no longer occupy their dining room as a designated eating area. According to additional records supplied by EstatesDirect.com, around six viewings are accounted for as being more than enough to assist the vending of a property within the UK. Those whom are purchasing homes located in London are subject to around eight viewings being held accountable for the final selling of a home where as houses in Wales require a minimal amount of five. In addition to this, Wrexham finds itself at the top of the list with houses obtaining four viewings minimum before being able to secure a definite sale, finally… sitting at the bottom of the scale Chelmsford finds itself having around 9 viewings per property. Could all these figures change in 2015 if the predicted house price drop comes true?